A goddess glow starts from within. Keep your body hydrated and nourished by drinking plenty of water throughout the day. This helps to filter out impurities and encourage healthy cells, which in turn creates glowing, clear skin. Eating plenty of nutrient and water dense fruits and veggies like cucumber, melons, apples and fresh greens helps too. In order to encourage effective cell turnover and create a smooth complexion, you need to be exfoliating your skin 1-3 times per week. You can use a manual scrub with ingredients like coconut powder or clay to slough off the top layer of skin, or you can use a fruit acid based formula that gently dissolves dead skin cells. Its really up to you and what you like best for your skin. Here are our favorite non-toxic, cruelty free and vegan picks. Uneven skin? Overly oily? Acne prone? 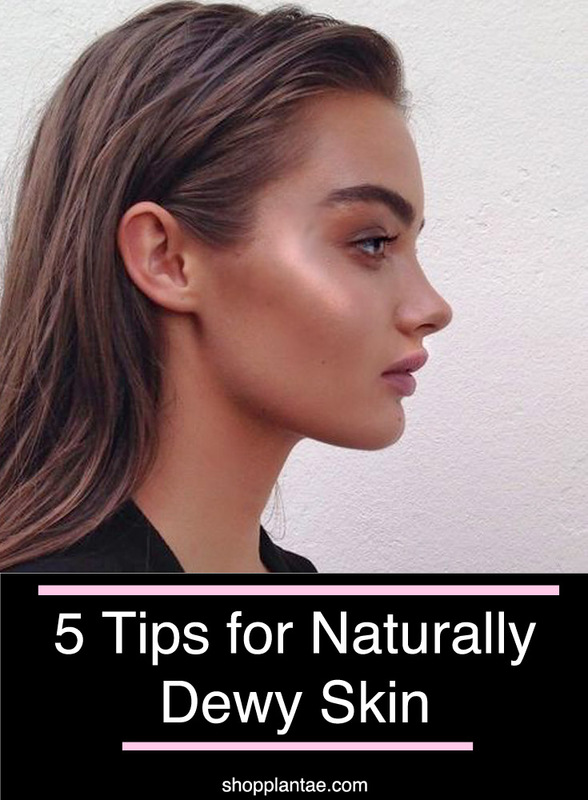 In order to achieve a gorgeous dewy glow, its important to find a serum that works with your skin to keep it healthy and clear with just the right amount of dewiness in all the right places. Serums are the powerhouses of your skin care routine and if you need help choosing one, check out this post to get you started. For normal/dry skin, here are a few options for instant glow. The right moisturizer can make or break a dewy look. For dry skin, opt for a richly nourishing moisturizer. This one from Odacite slowly releases moisture into the skin all day for lasting hydration and radiance. For oily or acne prone skin, opt for an oil-free lotion like this one from Acure or try a therapeutic balancing facial oil like this one from Vered. For normal or combination skin, here are a few options. Create extra radiance by adding luminosity to your makeup. For an all over glow, try mixing a drop of illuminating cream with your foundation prior to application. This one from Inika gives a warm, champagne pearlescent glow to the skin. For a more precise look, use a highlighter on your cheekbones, cupids bow and the bridge of the nose.